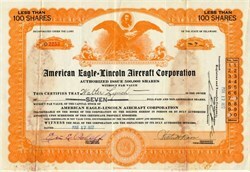 Beautiful certificate from the American Eagle - Lincoln Aircraft Corporation issued in 1932. This historic document was printed by the W.N. 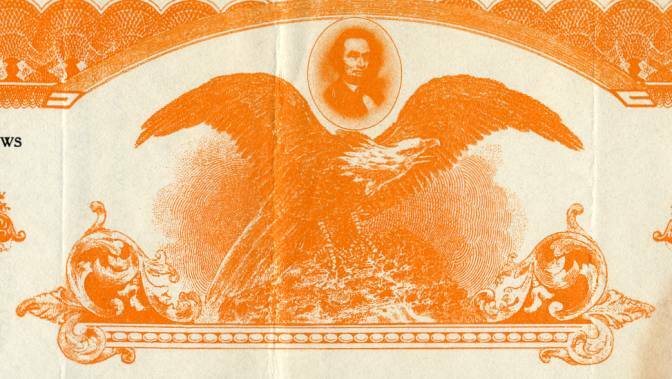 Perrin and Company and has an ornate border around it with a vignette of an eagle and Abe Lincoln. This item is hand signed by the Company's President ( Victor H. Roos) and is over 80 years old. Water stained.